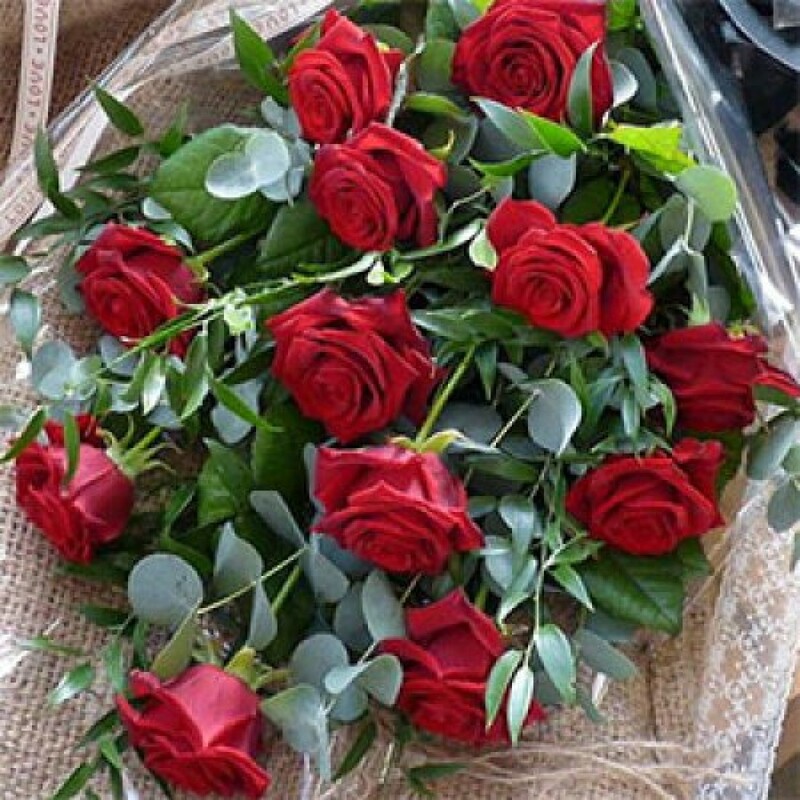 A traditional bouquet of 12 of the finest large headed red roses and foliage. The roses will be arranged in cellophane and a bow. The perfect way to say I Love You!